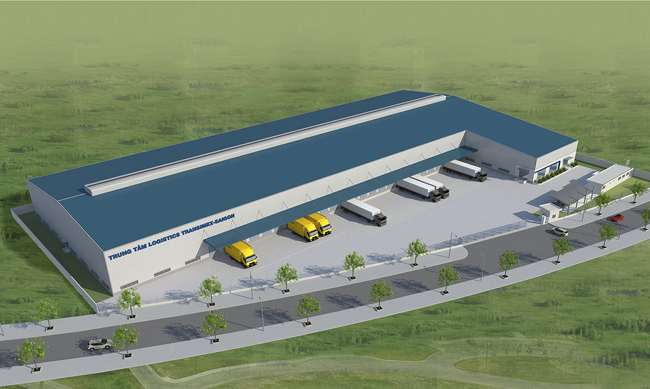 DA NANG (VNS) — Transfor-warding Warehousing Joint-Stock Corp, or Transimex-Sai Gon, has officially put into operation the first international standard logistics centre in Hoa Cam Industrial Zone (IZ). The move is seen as providing needed services for investors, exporters and importers in the central region – after five months of construction. He said the centre, built at a cost of VND50 billion (US$2.4 million), will also act as a distribution hub of consumer goods for the central and Central Highlands regions. The centre will help distribute consumer goods from central Quang Nam, Ha Tinh, Quang Binh provinces, and northern Bac Ninh Province to supermarkets in business hubs in the central region. The 137 hectares Hoa Cam IZ, 20km southwest of the city, has attracted 55 businesses and is 81 per cent occupied. It also connects the East-West Economic Corridor, which links Myanmar, Thailand, Laos and Viet Nam, and a system of deep sea ports at Tien Sa and Lien Chieu, as well as airports. The central city also plans to receive a boost as a centre of hi-tech industries, logistics service and tourism in central Viet Nam. 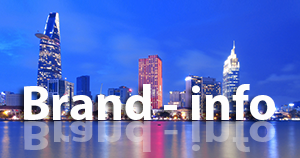 The city has 100 logistics companies, but only five are members of the Viet Nam Logistics Association. Last year, Transimex-Sai Gon invested VND600 billion (US$28.5 million) to build a bonded warehouse and logistics service project on 10ha in Sai Gon Hi-tech Park. 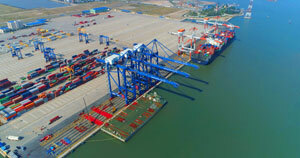 As scheduled, Transimex-Sai Gon will develop a cold storage system in the IZ to provide services for seafood exporters.